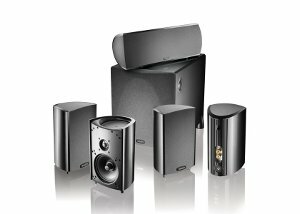 A good set of surround sound speakers is the perfect way to augment your entertainment center. Home theater speaker systems allow you to be fully immersed in whatever media you're enjoying, whether it's a feature film or your favorite record. To help you choose your new surround sound speaker system, we've compiled a list of the best speaker systems at various price points. 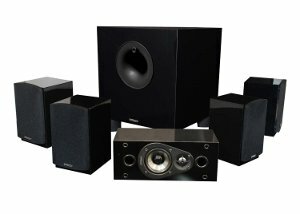 What Is a Surround Sound Speaker System? A surround sound speaker system is a speaker system that utilizes multiple audio channels in order to provide audio in 360 degrees. 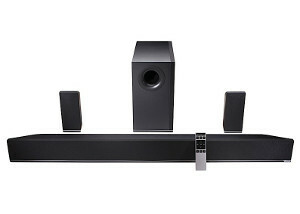 Surround sound works by positioning speakers around a "sweet spot," the listener location where the audio sounds best. Most surround sound speaker systems come in either 5.1 or 7.1 channel configurations, which means they include either 5 or 7 individual speakers. However, since 7.1 systems are becoming increasingly harder to find and see limited use in media, this article will focus mostly on 5.1 systems. 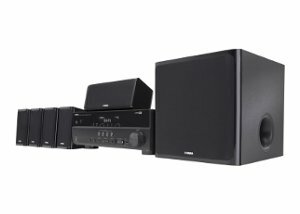 A Best Buy choice from Consumer Reports, the Yamaha YHT-497BL is a 5.1 channel surround sound speaker system that delivers top-notch sound quality. While lower-quality speaker systems may have difficulty reproducing the intricacies of music, this Yamaha system does a great job handling both music and movie audio playback. Additional features such as an iPod dock and an extremely reasonable price tag make this a great choice for your home theater experience. Currently $429.95 on Amazon. Well-praised among reviewers, the Energy Take Classic 5.1 is another strong contender when it comes to surround sound speaker systems. While not a powerhouse, the small speakers deliver excellent sound quality for both movies and music. Aside from its high quality sound delivery, this speaker system also delivers in terms of design, which is sleek and stylish. Both these factors come together nicely, with a modest price to tie everything together. Currently $349.00 on Amazon. For those of you looking for a high-end surround sound speaker system, look no further than the Definitive Technology ProCinema 800. While a higher-end model in and of itself, professionals state that it withstands the competition from even more higher-priced models. With a deep bass and superior sound quality, this speaker system is a top performer within and beyond its price class. Movies and music are not a problem for these speakers that are packaged in a simple but sturdy design. Currently $1,198.00 on Amazon. The Monoprice 10565 brings terrific sound quality at a budget price. Professional tests rank its sound quality higher than other speaker systems of its price class, which, if all you care about is sound quality, should be good enough reason for you to pick up the system. However, the Monoprice 10565 doesn't win very many points for style and design, so don't expect these speakers to jazz up the look of your home entertainment system. 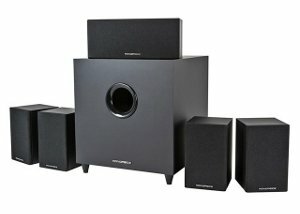 Currently $248.71 at Monoprice. The Vizio S4251w-B4 is the only soundbar system to make this list. Normally, most soundbars don't deliver surround sound audio quality, but the inclusion of a set of rear speakers in addition to the soundbar allow this Vizio system to bring true 5.1 channel sound to your home. This speaker system delivers some of the highest quality sound in this price range, and definitely the best sound quality in this design category, bar none (see what I did there?). In addition, smart design features and a remote with a built-in display give it added ease-of-use points, which is always appreciated by users. Currently $298.00 on Amazon.